We are very sad to announce the passing of another great friend and supporter of UKRO, Dr. Paul Terasaki, a renowned professor emeritus of surgery at the Geffen School of Medicine at UCLA and pioneer in the field of organ transplantation. Transplantation wouldn’t be what it is today without his revolutionary tissue typing test, which became the international standard. With his company, One Lambda, Inc., he continued to help transplant centers better match and monitor their patients. We were privileged to honor him with our Lifetime Achievement in Science and Medicine Award at our 2012 benefit dinner. 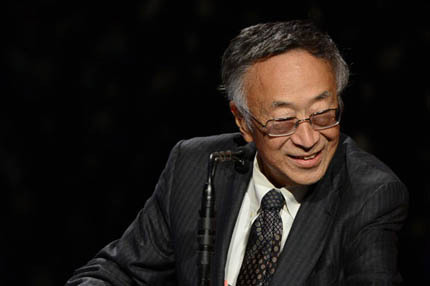 Watch video of Dr. Terasaki accepting his Lifetime Achievement award. ABC7 reporter David Ono interviewed Dr. Paul Terasaki twice before he passed away earlier this year. The result is a moving video remembrance of a humble man who changed the world with his revolutionary transplant work. Watch the video.